Motivate Me is a one-day CPD course for teachers, instructors and leaders of physical activity, exercise programmes, groups and classes who work with older people. It has been designed for professionals who have qualified as Leaders or Fitness/Exercise Instructors (Including Postural Stability Instructors, EFS Instructors, Otago Exercise Leaders and Chair-Based Exercise Leaders), movement and dance teachers and sport and recreation leaders and coaches. It is also appropriate for other health and social care professionals who wish to know more about motivating older people to engage in physical activity. The programme can be used as a standalone introductory course into older people and physical activity motivation or as part of a Continuing Professional Development programme for different professional groups. To date, over 500 exercise, physical activity, health, social and residential care professionals across the UK have participated in Motivate Me courses. Later Life Training also run bespoke training for local organisations (e.g. specific to falls prevention, sports development or nursing home environment). If you are interested in hosting your own MMe course for your staff, please contact the LLT Office. A host booking form can be found in the Apply section below. Session 1. Motivating older people and helping them to become active – What do I need to know? · Participants experience of motivational issues, the decision making balance sheet. 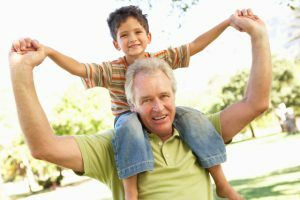 · What helps and hinders older people? – Individual, social and environmental barriers. · Overview of behaviour change models. · Getting off to a good start and “Having the Conversation”. · Listening and talking, negotiating barriers. · Building self-efficacy, goal setting, incentives and rewards. · Lapse, relapse and support strategies. A course flyer can be downloaded here. This course is designed to provide physical activity and exercise leaders, teachers and instructors with both theoretical perspectives and practical applications on motivating older people to start and maintain regular physical activity. Shared their experiences and successes of working with older people. Improved their understanding of theoretical and practical components of motivating older people. Developed their knowledge and understanding of the barriers older people face and strategies to overcome these. Practiced communication strategies and skills to improve motivation amongst participants. Improved their understanding of individual differences among older people. Motivate Me comprises a one-day course programme which begins at 9.30 am and finishes at 4.30 pm with a maximum of 20 participants. Participants are also expected to undertake pre-course reading and a professional reflective task. All participants are provided with a course support pack which includes tools for future use, sources of additional materials and a comprehensive reading list. Participants are also directed towards additional areas of learning to improve their skills and experience in motivation. -Help the Aged (2005) Don’t mention the F word Encouraging positive attitudes to falls prevention in later life. The evidence for promoting physical activity among older people of all ages and abilities is overwhelming. However, people over the age of 65 represent the most sedentary segment of the adult population and participation continues to decline with increasing age. A range of organisations provide exercise courses for those who work with older people, but few of these courses include training in exercise motivation and adherence. The MMe course is designed to provide both theoretical perspectives and practical applications on motivating older people to start and maintain regular physical activity. The Motivate Me course was developed in 2007 in partnership with the former BHF National Centre for Physical Activity and Health at Loughborough University and Age Concern – Ageing Well (now AgeUK). And the participants in the original pilot programmes in Cambridgeshire, Dunoon and Kirklees. Since then, additional revisions have been made with additional contributions from Rebecca Townley. 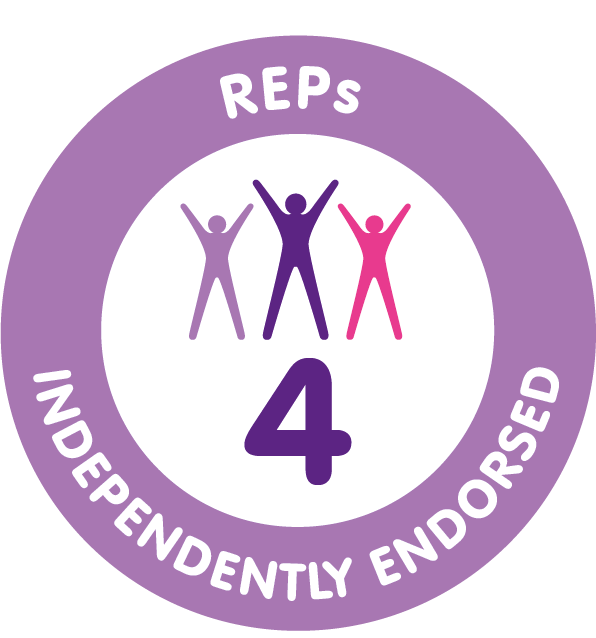 This training has been endorsed by REPS and PD:Approval (now managing all endorsements previously of Skills Active) and receives 4 CPD points as there is no assessment. These models, adapted and refined over a period of time, have a number of common features which help to guide our thinking and practice. E.g. Although these summaries go some way to help us understand physical activity behaviour and have influenced interventions, no one single model can explain a high percentage of the variance in physical activity. The main criticisms have been that the individual level theories assume that individuals behave rationally and generally seek to maximise their welfare and that behaviour is predominantly under volitional control. More recent work has been summarised by Michie et al (2012) by the introduction of the COM – B model. Qualitative studies on exercise barriers and motivation. There is a wide range of barriers to physical activity for the older person. These barriers are most frequently divided into intrinsic (internal) and extrinsic (external). Intrinsic barriers are those that relate to the individual’s beliefs, motives and experiences concerning physical activity. These are most likely to be addressed by those who work directly with older people in providing counseling, advice, motivation, education and programme planning – for example, a peer mentor, exercise teacher, health visitor or GP. Extrinsic barriers are those that relate to the broader physical activity environment, the attitudes of others and the types of opportunities that are available. These barriers are more likely to be addressed by those responsible for policy and strategic developments and at times may appear to be beyond the control of the individual participant or the exercise teacher. Jones and Rose (2005) have also highlighted the importance of programme barriers that older people face which identify the location, timing but also the quality of the physical activity or exercise programme (too hard or too difficult) and the interpersonal skills of the leader or teacher. (Evidence suggests that effective strategies to support individual behaviour change are influenced as much by the qualities and inter-personal skills of the helper working with participants (e.g. a peer mentor, practice nurse or exercise teacher) as the theoretical model or intervention style used (Hunt and Hillsdon, 1996). Whilst many of the barriers identified above will be evident among participants in a variety of physical activity programmes, planners must also take account of specific programming and class design issues as also being a potential source of barriers or even participation drop out. A number of documents provide guidance on ways in which advice can be given to people – and particularly those who are sedentary – to help them become physically active, including the National Institute of Health and Clinical Excellence (2006 a, b and 2007). Recently, there has been a move towards more inclusive summaries of evidence (e.g. King et al 1998, Akke Akke et al (2002) DOH 2006a, b) including learning and information from locally developed practice to fill some of the gaps in evidence where systematic reviews have left incomplete guidance for health and other professionals. What helps and hinders older people in their attempts to be active? In spite of the multiple benefits of physical activity, older people still face many challenges to increasing their participation in physical activity and we need to understand what might help and hinder their attempts and a number of things will be playing a part. We often think about the motives and barriers to physical activity that might be responsible and these might operate in different ways. We are influenced and motivated by our own individual thoughts, ideas and beliefs, what is important to us and what we value. Older people can also be influenced (positively and negatively) by “significant others”, their family, friends, peers as well as professionals who can provide social support. The physical environment, the place where we live and the neighbourhood that we inhabit can also influence our attempts and opportunities to be active. So individual personal beliefs, choices and decisions by older people to start or increase movement are enhanced or hindered by the social support of significant others and an enabling environment. This is particularly so amongst those with limited mobility and those who require support during their daily lives. In later life, the impact of social support (from significant others) and the physical environment, can be a great influence and dissuade someone from taking action and we also know that there is a tendency in later life for people to live closer to home. A number of documents provide guidance on ways in which advice can be given to people – and particularly those who are sedentary – to help them become physically active, including the National Institute of Health and Clinical Excellence (2006 a, b and 2007). Current evidence and practice, acknowledging learning from different areas of practice e.g. falls practice, primary health care interventions, community-based programmes, and the involvement of different professionals has been drawn together in two key documents by Yardley et al (2005). Ajzen I (1985) From intentions to actions: A theory of planned behaviour. In Kuhl J, Beckman, J (Eds) Action control: from cognition to behaviour. New York, Springer. Fishbein M & Ajzen J, (1975) Belief, attitude, intention, behaviour: An introduction to the theory and research. Reading, Mass: Addison- Wesley. Sport England (2005) Understanding Participation in Sport – A Systematic Review. A Handbook for Professionals. Oxford: Blackwell Science. Jones, J. and Rose, D.J. (Eds) (2006) Physical Activity Instruction of Older Adults. Human Kinetics Champaign, Illinois. Yardley L., Donovan-Hall, Francis, K. and Todd C. (2005) Older People’s views of advice about falls prevention: a qualitative study. Yardley et al (2007) Recommendations for Promoting the Engagement of Older People in Preventative Healthcare. The course cost, including manuals and certificate is £110 plus VAT. Concessionary prices (£100 + VAT) are available for staff and voluntary workers from AgeUK and other non-governmental, voluntary sector organisations.The cost for a one-day bespoke course is £1,200 plus VAT for a minimum of 12 and maximum of 24 places. We will provide the pre-course materials, course manual and documentation electronically for you to copy to your hosted course participants. You can apply online, but first we ask that you ensure you have read the Eligibility Guidelines and the statement about Medical Conditions and Learning Support Requirements below. You should also have read the MMe Terms and Conditions. Course dates can be found here. If there are no courses currently in your area we will initiate a course as soon as there is enough interest but we cannot guarantee a timeframe for this. If you are interested in hosting a Motivate Me course in your area, just contact the LLT Office. We encourage everyone to be responsible for their own learning. In light of this, we ask that you please inform us, at point of application, about any learning support requirements and/or medical conditions support that will help you to access our course content and learn effectively. All information will be treated confidentially and we will make reasonable adjustments to meet your needs. If you happen to have a latex allergy, for example, please tell us and we can provide a latex free theraband for your course. Motivate Me is also included within the PSI CPD programme where the content of a one-day course is tailored more towards exercise adherence within falls prevention programmes. Details of these courses are included in the PSI CPD programme.